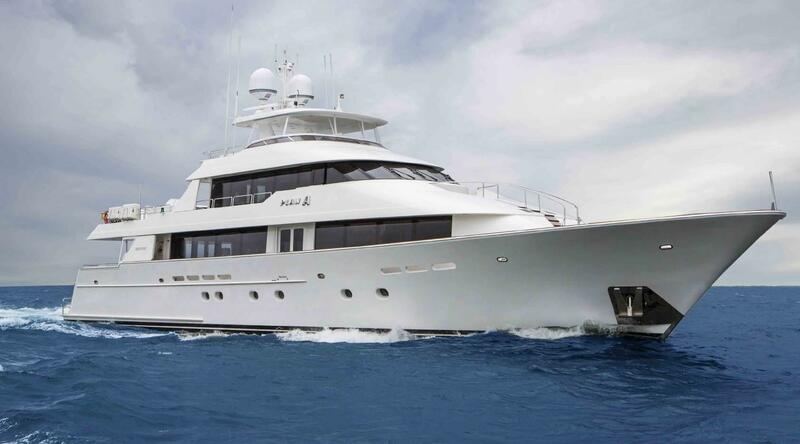 Motor yacht PLAN A (previously "RESOLUTE") was built by Westport Yachts in 2007 and refitted in 2014. She features naval architecture by William Garden and measures 39.62m (129.11ft). 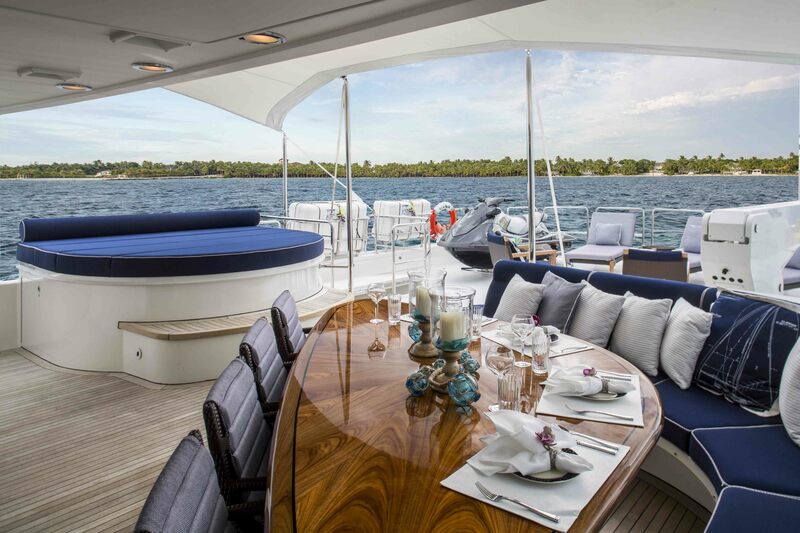 M/Y PLAN A cruises the East Coast of the USA and the Bahamas seasonally, offering deluxe crewed yacht charters for up to 10 guests. 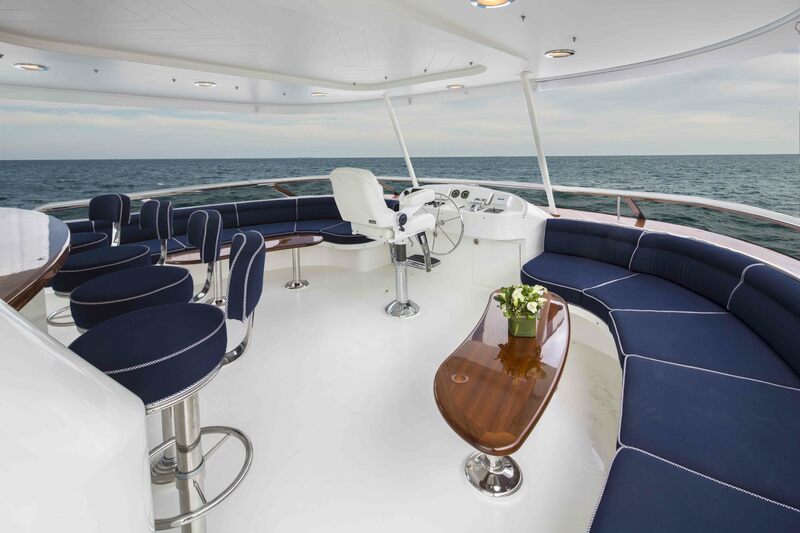 The PLAN A yacht is a tri-deck design, boasting expansive interior and exterior areas to enjoy. Her interior décor is elegant and warm, rich cherry wood panels, neutral soft furnishings and subtle lighting create an inviting ambiance throughout. 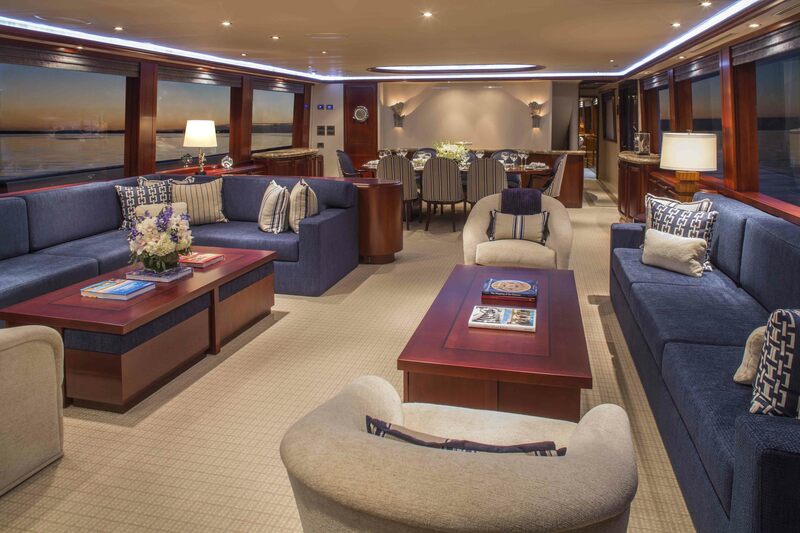 The salon and dining is an open plan, featuring the generous lounge aft and formal dining forward. A full entertainment system to the rear of the salon, is perfect for indoor entertainment. 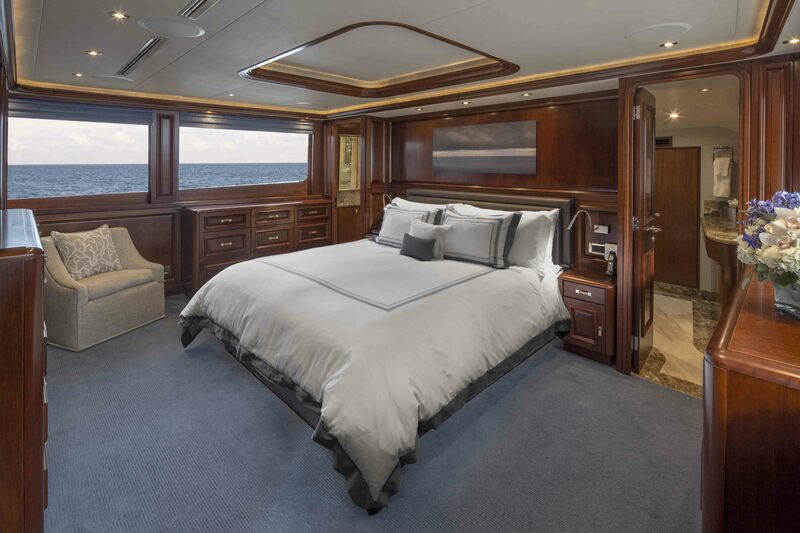 A foyer on the starboard side leads past the large galley, to the full beam master stateroom with king size bed, private study and spacious en-suite. The upper deck offers a skylounge, with large sofa, occasional chairs, desk, games table and full entertainment system. 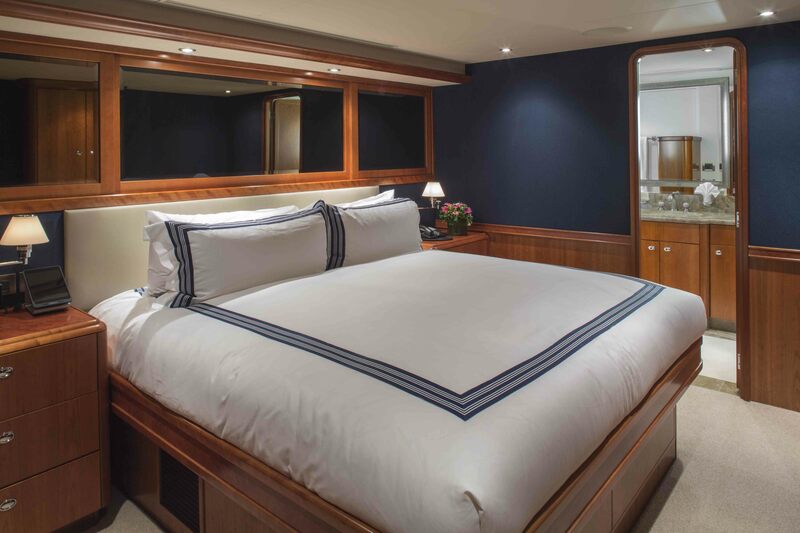 Below decks, a further 4 cabins accommodate an additional 8 guests, each with en-suite facilities. 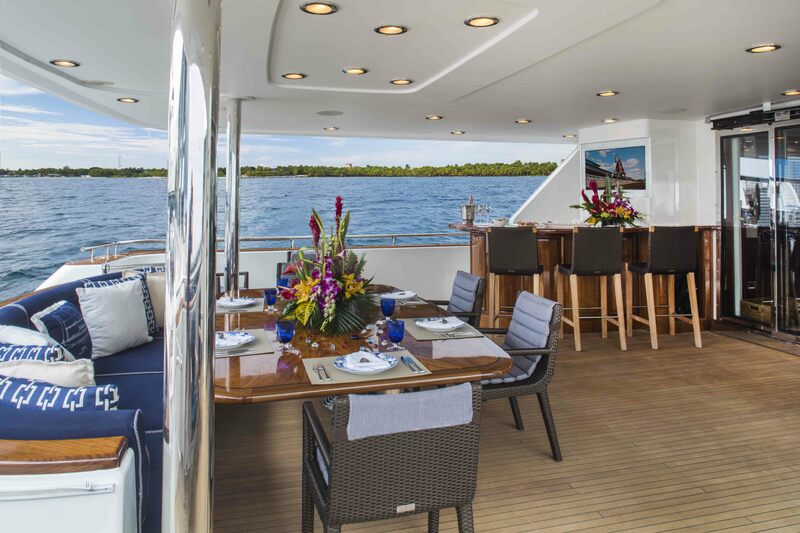 Aboard the crewed Westport motor yacht PLAN A is ample exterior living, on 3 decks. 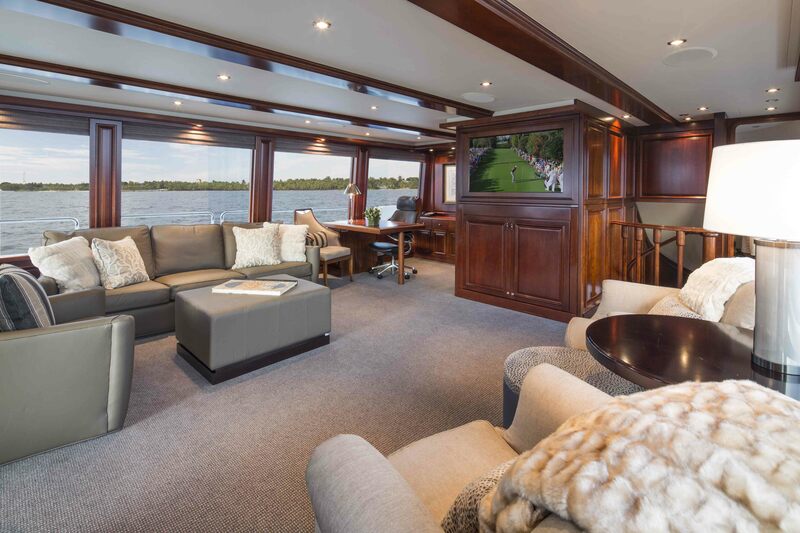 Adjacent to the salon is the shaded aft deck, complete with seating, alfresco dining and a wet bar, perfect for social events. On the upper deck, aft of the skylounge is a further seating area and exterior lounge. The sundeck is ideal for relaxing by day or night, offering an alfresco dining option, sunning space and deluxe Jacuzzi tub. M/Y PLAN A has an extended swim platform, from which guests will find the vast array of water toys on offer, easily accessed. PLAN A is powered by 2 x 2,735hp engines, boasting cruising speeds of 18 knots, and top speeds of 24 knots. 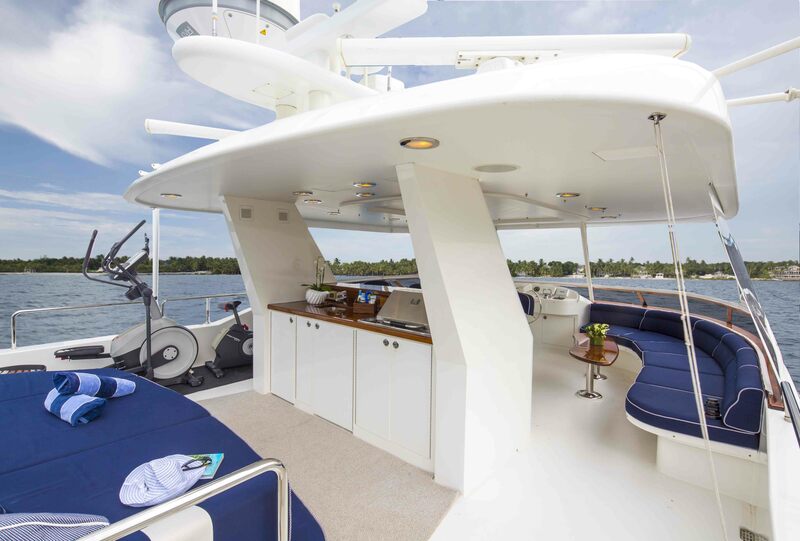 The PLAN A motor yacht is fitted with at anchor stabilizers, minimizing sea conditions and providing a comfortable luxury charter yacht experience. 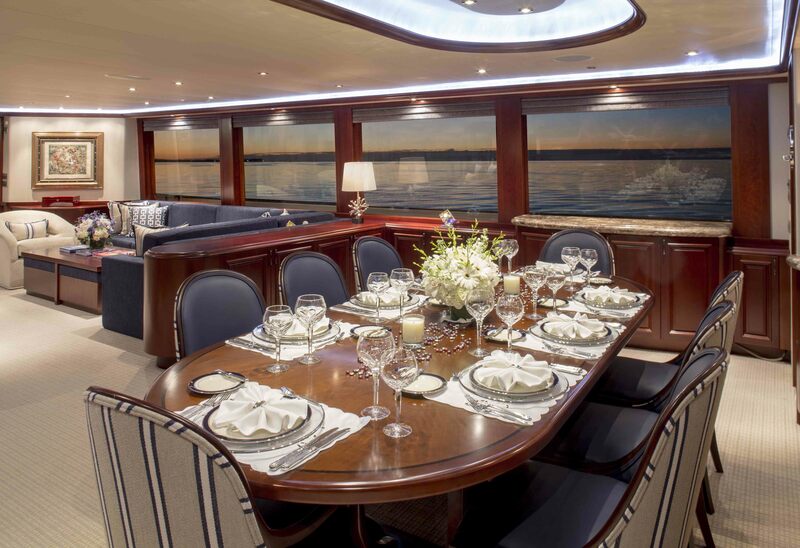 Motor yacht PLAN A accommodates up to 10 charter guests in 5 en-suite cabins. 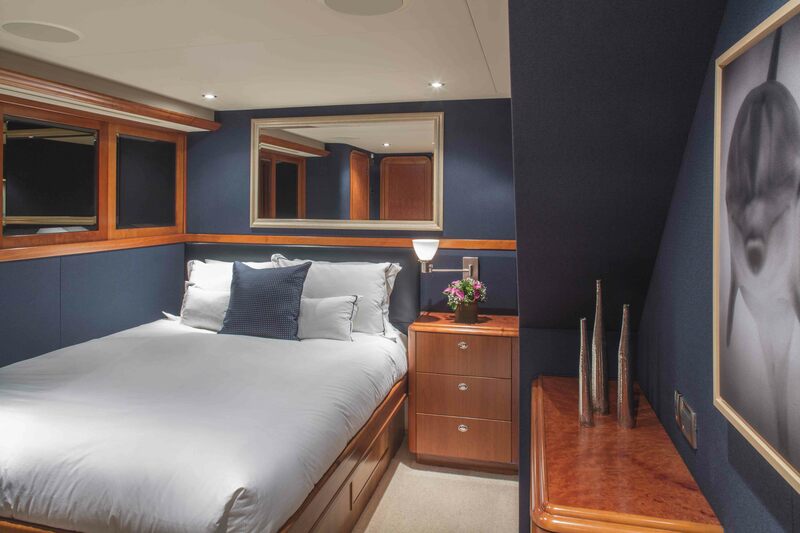 The master stateroom is on the main deck, forward of the salon and galley with a full beam layout, king size bed and private study space. 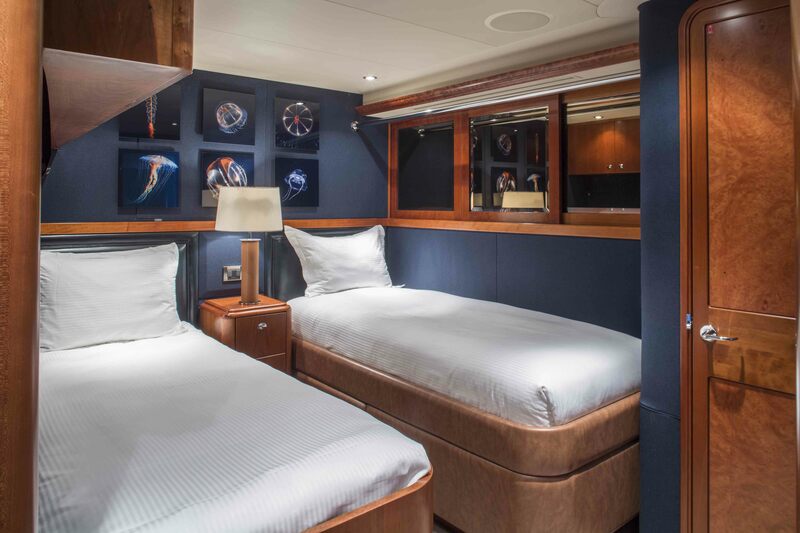 Below decks, 2 guest cabins offer king size beds, 1 has a queen size bed and a further guest cabin offers side by side twin beds. 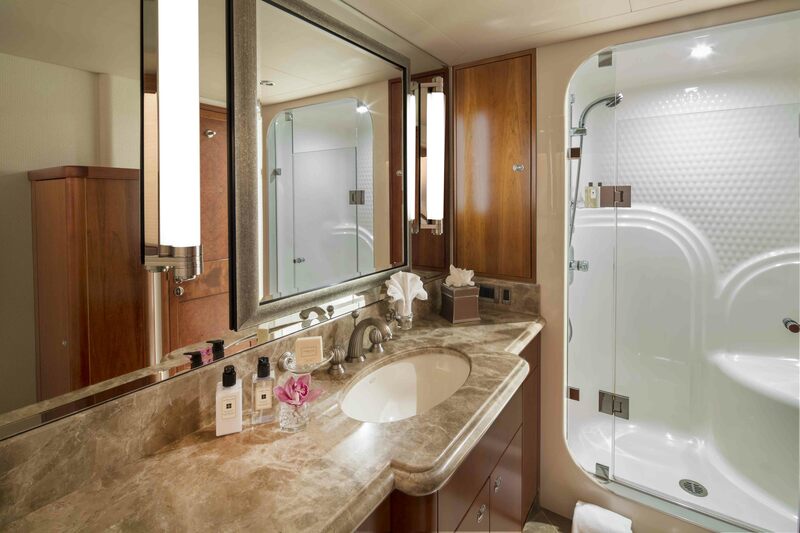 All the guest accommodations aboard PLAN A are light, airy and spacious, each cabin is welcoming and boasts the perfect place to relax and unwind.